Fire officials announced Sunday that the Ferguson Fire, which started on July 13 and has burned more than 96,000 acres in and around Yosemite National Park, is 100 percent contained. "The fire itself has a containment line all the way around the perimeter of the fire," said Ferguson Fire Information Officer Brendan Halle. This means that fire officials are confident the fire will not spread any further, but it doesn't mean that the fire is done burning. "It's not controlled," Halle said. "Controlled would be after there are no more hot spots or smoking areas, and there are still interior pockets of unburned fuel in that containment line that are probably going to smoke for a while until they have the first really good storm or wetting rain up in this region, and that will probably lead to the whole thing being controlled." 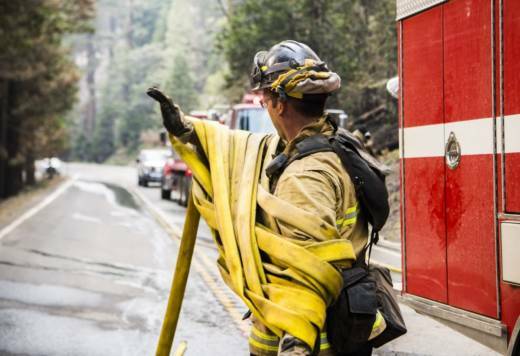 The fire started more than a month in the Sierra National Forest in steep, rugged terrain that would make firefighting a challenge from the start, in addition to hot and dry weather conditions. The following day, 36-year old Heavy Fire Equipment Operator Braden Varney died when his bulldozer crashed down a mountainside while he was working on a steep trail. On July 29, 33-year-old Brian Hughes died when a tree struck him while he was conducting a strategic firing operation on the east side of the wildfire. Hughes was the captain of the elite Arrowhead Interagency Hotshots unit. 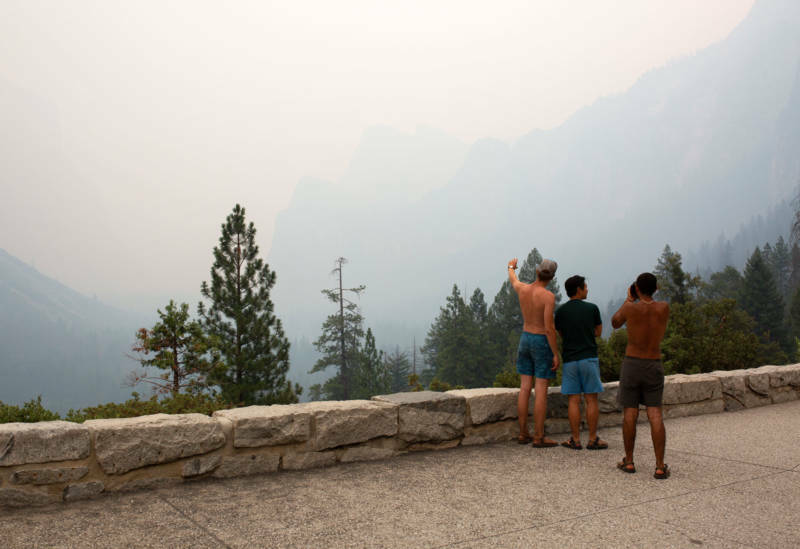 Smoke from the fire had almost immediate impacts on nearby Yosemite National Park, leaving some of the park's most iconic landmarks shrouded from view and interfering with visitors' trips. Park officials closed the popular Yosemite Valley to the public on July 25, and the following week, the fire burned into the park for the first time, leading the National Park Service to close a large portion of the park indefinitely on August 5. Yosemite Valley reopened on August 14. Mariposa Grove and Wawona have also reopened, while Glacier Point remains closed. The fire and related park closures at the peak of tourist season have had a devastating impact on nearby businesses, leading to an estimated $50 million in lost revenues. At its worst, more than 3,000 people from all over the world were assigned to the incident. Halle said the more than month-long fight to contain the fire isn't out of the ordinary anymore. "If you had asked me a couple years ago, I would have said absolutely it seems to be a long period of time to get a containment line around the fire," Halle said. "But as we get into what our governor calls the 'new normal,' it seems that this is just becoming the new trend where we're here for a long period of time to get a containment line around these fires." Even though the fire has been contained, there are still more than 800 people assigned to the blaze. Halle said firefighters and other personnel will continue to work on monitoring hot spots within the containment lines, clearing dead trees, preventing mudslides due to soil erosion and repairing nearly 300 miles of fire containment lines. "There's still a huge amount of work to be done," Halle said. KQED's Sonja Hutson contributed reporting to this story.